Wash the jalapenos and slice in half length-wise. Use a small spoon to scoop the seeds and membrane from the jalapeno halves. 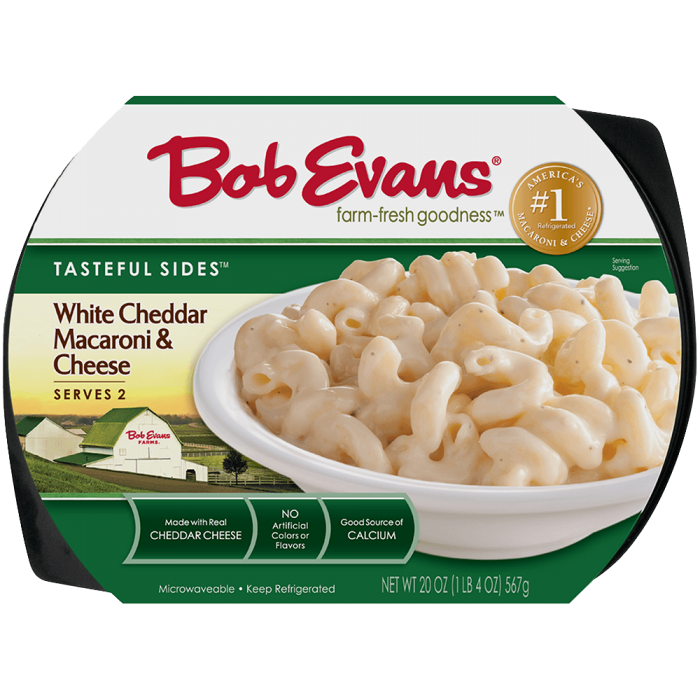 Microwave the macaroni and cheese according to package directions. Empty macaroni and cheese into a medium mixing bowl with the grated Monterey Jack cheese, pimentos, salt, and pepper. Stir well to combine. Spoon the macaroni and cheese into the jalapeno halves, about 1-2 tablespoons of macaroni and cheese per pepper. 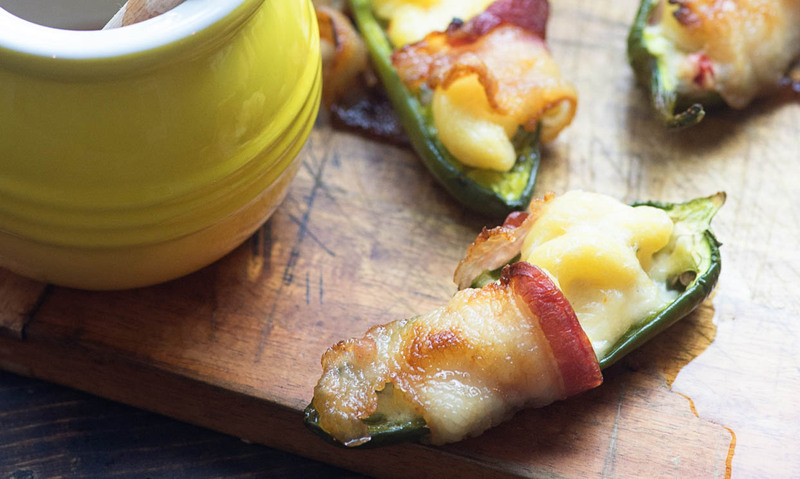 Slice the bacon strips in half and wrap each jalapeno with one half of a slice of bacon. Place poppers on prepared baking sheet. Warm the honey in a small dish in the microwave for 20 seconds. Use a pastry brush to brush the honey over each popper. Bake for 20 minutes or until bacon is cooked to your liking. Cool for 5 minutes and serve warm. 1 Preheat oven to 400 degrees. Line a large rimmed baking sheet with parchment paper. 2 Wash the jalapenos and slice in half length-wise. Use a small spoon to scoop the seeds and membrane from the jalapeno halves. 3 Microwave the macaroni and cheese according to package directions. 4 Empty macaroni and cheese into a medium mixing bowl with the grated Monterey Jack cheese, pimentos, salt, and pepper. Stir well to combine. 5 Spoon the macaroni and cheese into the jalapeno halves, about 1-2 tablespoons of macaroni and cheese per pepper. 6 Slice the bacon strips in half and wrap each jalapeno with one half of a slice of bacon. 7 Place poppers on prepared baking sheet. 8 Warm the honey in a small dish in the microwave for 20 seconds. 9 Use a pastry brush to brush the honey over each popper. 10 Bake for 20 minutes or until bacon is cooked to your liking. 11 Cool for 5 minutes and serve warm.